I picked some Grape hyacinths. 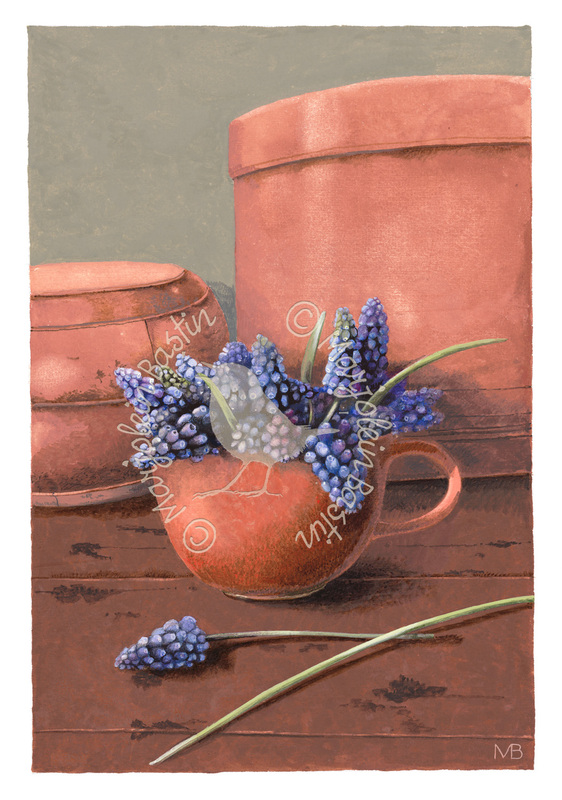 Should I really paint Grape hyacinths again? I’ve made so many already. But then after I put them in a red cup and placed that on top of an antique Japanese cupboard with some red wooden boxes on it, I just couldn’t help myself.